CASE STUDY: How the Man from Bangalore Brewed a $200 Million Success Story? Home > Blog > Blog > CASE STUDY: How the Man from Bangalore Brewed a $200 Million Success Story? Café Coffee Day is not just a coffee shop for the people of India today. It is more of a vogue of people which they tenderly make. A tranquil atmosphere combined with decent amenity, it is one of the most favorite hangout places for teenagers. The first Café Coffee Day outlet was set up on July 11, 1996, at Bangalore, Karnataka with the tagline ‘A lot can happen over a cup of coffee’. It swiftly expanded through innumerable cities in India adding new stores with more than 2000 cafés open across the country by 2016. In a span of 20 years, CCD has brewed its way to success, in popularity and love it has harvested. Back to 1996, when Café Coffee Day’s history began and headed to such an astounding growth. V.G. 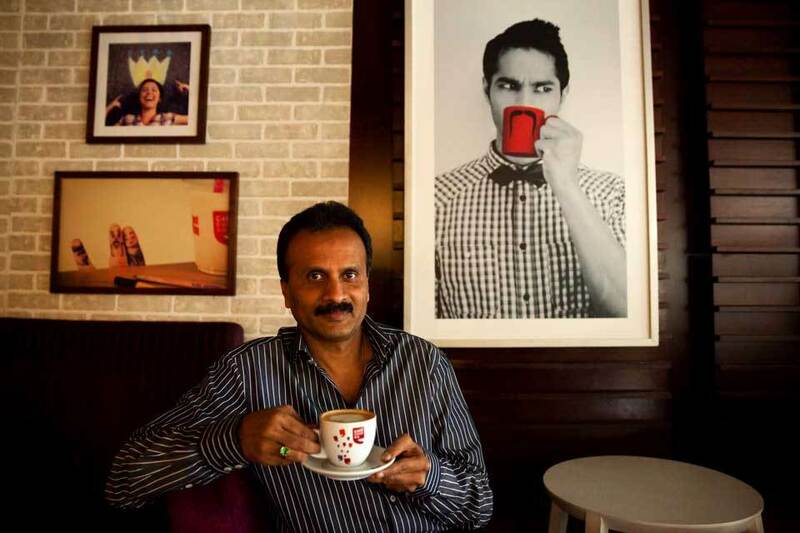 Siddhartha, founder of Café Coffee Day, is a genius; he combined technology and coffee to start. Café Coffee Day, the first café at Bangalore in 1996. Siddartha was an analyst with JM Financial and Investment Consultancy and had an interest in technology. He also had inherited Coffee farms spread across a huge expanse of 10,000 acres. He returned to Bangalore to look after family business. He was not gratified with the scope of their objective. He desired to make it really immense, he sought to reach out people and make drinking coffee a momentous experience in typical peoples’ lives. He inspired by the owners of “leading coffee brand in Germany – Tchibo”. This inspiration gave Siddhartha a vision of a different world overall & opened his eyes. It also gave him a magnificent concept, with that idea; cup by cup he made his Billion dollar realm. CCD’s complete marketing strategy is dedicated towards teenagers. Be it their Facebook updates or tweets or in TV commercials, they are very engrossed on whom to communicate to. CCD invests 2% of its top line on marketing, with a marketing budget of INR 8-10 crore. So far, nearly 90% was spent on in-store marketing, with effective marketing accounting for the remaining 10%. They are focused on endorsing Café Coffee Day as a place to have conversations. CCD reinforced by certain good clicks, they are full of image updates to throb with the zeal on teenagers. CCD has a strong presence on social media. CCD has witnessed more than 53.6k followers on Instagram, 53 K followers on twitter and whopping 4.9 million fans on Facebook. The Facebook check-in feature is becoming increasingly prevailing with the user of the social network who likes to keep their loved ones informed about where they are. With 2 updates every day, they seem to receive pretty a good traffic from their community. For a brand with more than 4 million fan following on its page, they claim a strong 9% fan traffic for a month. CCD is one of the most fetching Indian brands on Facebook. Café Coffee Day has displayed a very well-aimed innovative image, correlated to the brand attitude. CCD has been taking candid photos of patrons at outlets across India and is sharing on CCD’s Twitter and other social media pages to elucidate that “a lot can happen over coffee”. Twitter has also created a special way to promote #InternationalCoffeeDay with the use of #CCDCoffeeMoments hashtag, encouraging people to tweet and tell why CCD is special for them. CCD is using YouTube platform to host their commercials. CCD has more than 1,222 subscribers and 448,201 views on its YouTube channel. Café Coffee Day (CCD), after being in the market for the past 16, years has unveiled its first television commercial (TVC). The ‘Sit Down’ TVC, offers the CCD patron a drive for hanging out at the café. It’s made on the idea that ‘standing up’ a lot doesn’t surely return outcomes, but a lot of things can happen when you ‘sit down’. A video of ‘Munda marda phire’ song revolves around Café Coffee Day café. Video lead characters are shown often visiting a coffee shop. This video shows everything can be started and resolved at a café simply by sitting down and having a conversation, afresh emphasizing its motto that a lot can happen over coffee. Café Coffee Day also ties up lot of the popular brands. Examples: Levis, Scooty, Liril, and with Airtel Friends. Café Coffee Day offers special ‘Café Citizen Card’ for gratifying Café Coffee Day’s consumers. It is a loyalty program to increase new consumers and keep the existing ones. CCD launched its app this year to track consumer behavior, personalize offers & promotions and allows cashless transactions through built in wallets and build loyalty. The coffee market in India has been rising due to the demand for “Ready to Drink” coffee and has become a part of a being’s daily drinking partner. 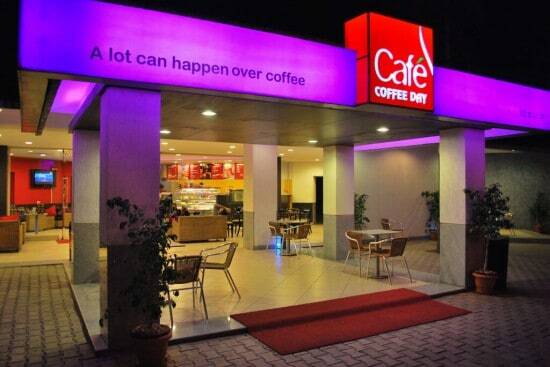 Café Coffee Day (CCD) is possibly the market leader in terms of retail footprint with more than 2,000 cafés at 220 cities across 28 states in India, with multiple formats and 600+ kiosks called Value Express. Café Coffee Day also has an international presence in Karachi, Vienna, Dubai, Austria, Czech Republic and Prague. The company turned over revenue worth $200 million approx., employees 40,000+ and Siddartha has a net worth of $1.3 billion. And today, CCD sells 6,500-7,000 tons of branded coffee, exports approx. 28,000 tons of coffee and sells another 2,000 tons locally each year and his Café attract at least 40,000 -50,000 visitors per week. Siddhartha flourished in giving the Indian consumer a new lifestyle experience, which is within the range of common people.